The Nova One soap dispenser by Zone Denmark impresses with its timeless plain appearance. 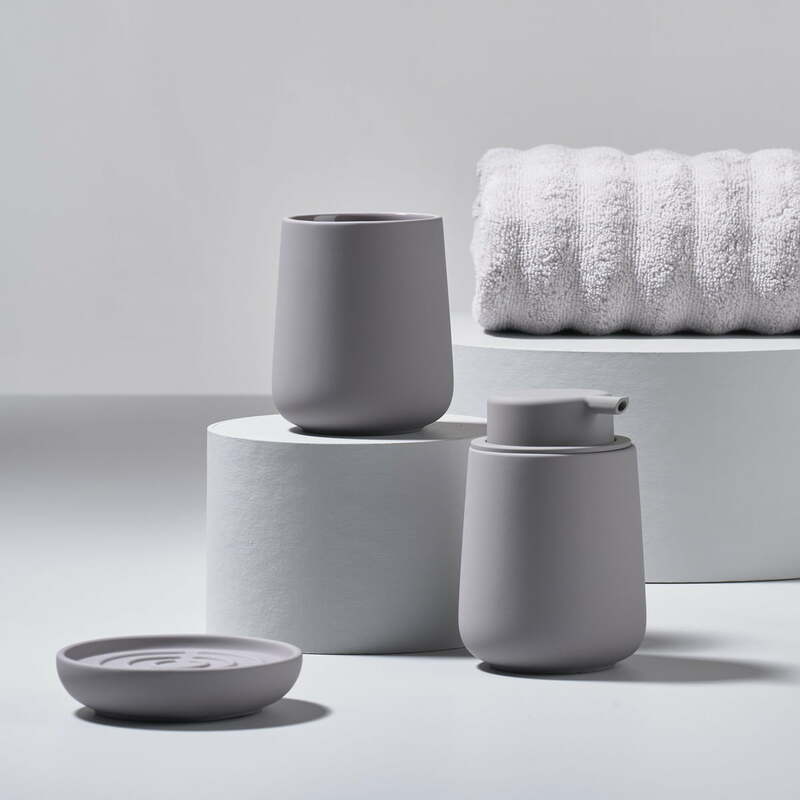 It is produced from stoneware with soft touch coating in various colours and polypropylene and belongs to the eponymous Nova bathroom collection by Thomas Dudzinski. 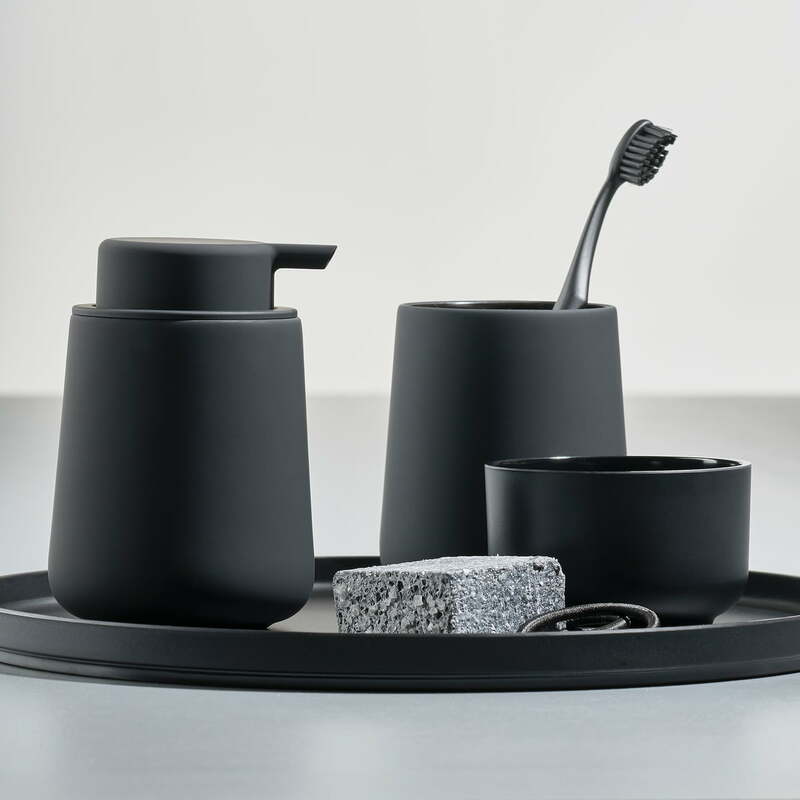 The soap dispenser, toilet brush and the toothbrush mug are available in the Nova One series made of stoneware. 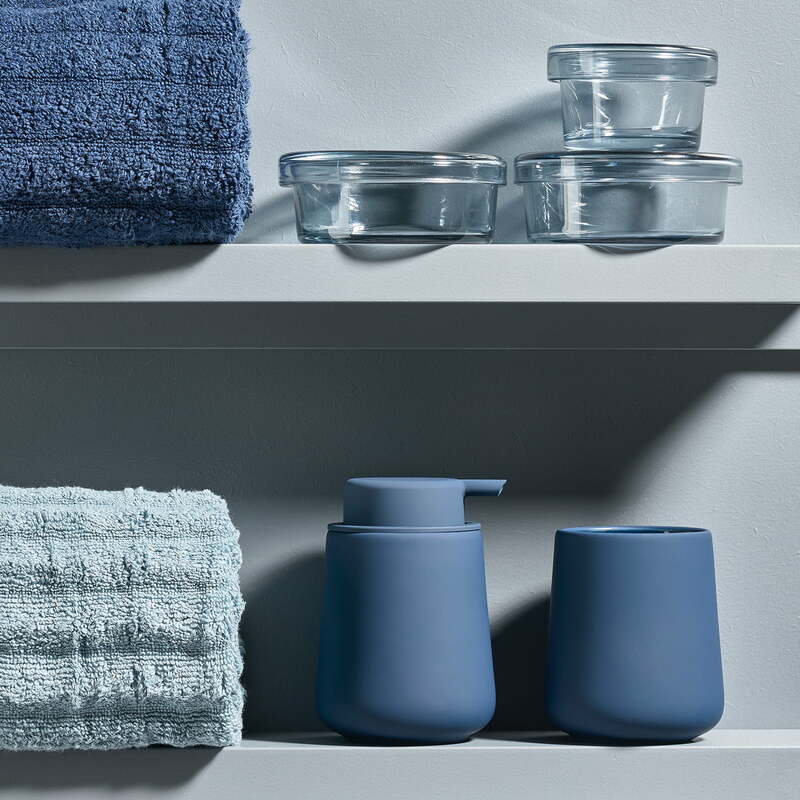 The Nova collection includes soap dispensers, toilet brushes, toothbrush mug and soap dishes made of porcelain and a pedal bin made from ABS with soft touch finish, which are also available in other colours upon request. Color is matt type of and after each use you can see the finger prints, water and soap stains. The lid pops out and does not hold inside. A bit dissatisfiying because bought 3 of them. Thank you for your honest feedback. We take all reviews seriously and will transfer your experience with this product to the manufacturer to help them improve this product. If you are not 100% satisfied with this product, please do not hesitate to return the products free of charge for a full refund. Sleek modern design, beautifully made, the parts fit together well and have a nice weight and feel, very well packaged too. The distance the soap travels when pumped could be better, as it doesn't go far enough it tends to leave a soap running down the side which is a shame. Is a lovely soap dispenser and with a beautiful finish, but the soap dispenser head is so small that it is impossible to not keep spilling soap on its side, hence not very practical. 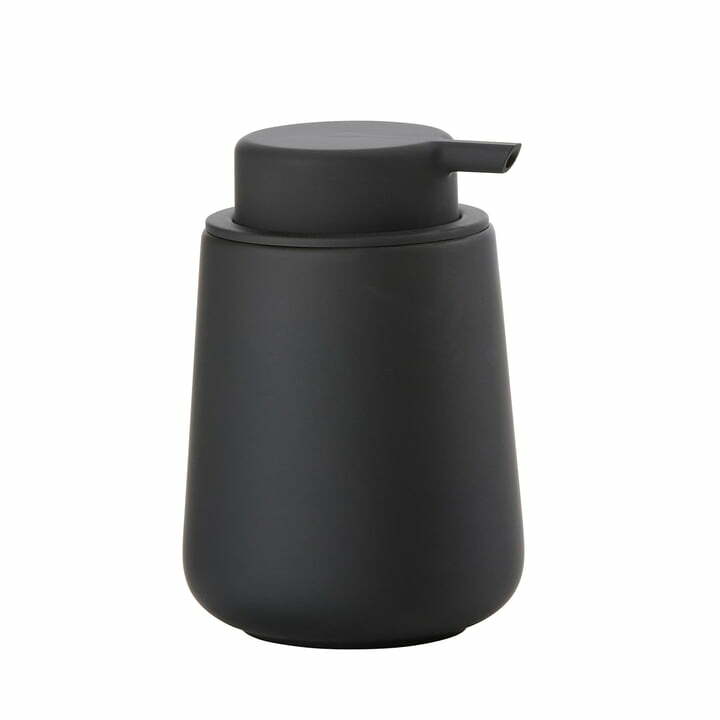 Individual image of the Nova One soap dispenser by the brand Zone Denmark in black. It is made of stoneware with soft touch coating and polypropylene. 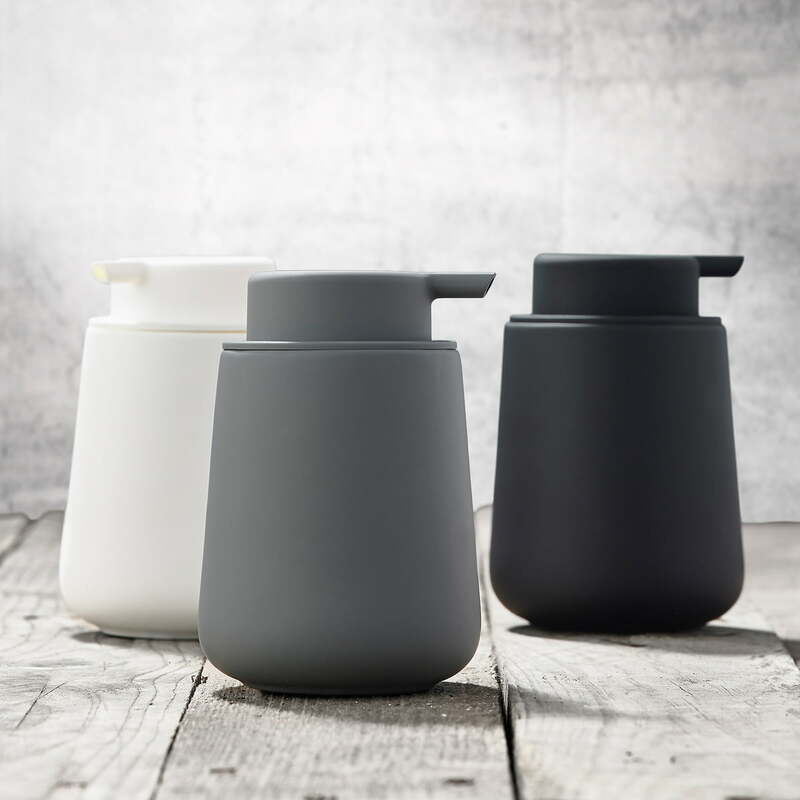 The Nova One soap dispenser by Zone Denmark is produced from stoneware with soft touch coating in various colours and polypropylene and belongs to the eponymous Nova bathroom collection by Thomas Dudzinski. In royal blue, the Nova One toothbrush holder and the Nova One soap dispenser by Zone Denmark are made of stoneware and can be easily introduced into any bathroom. 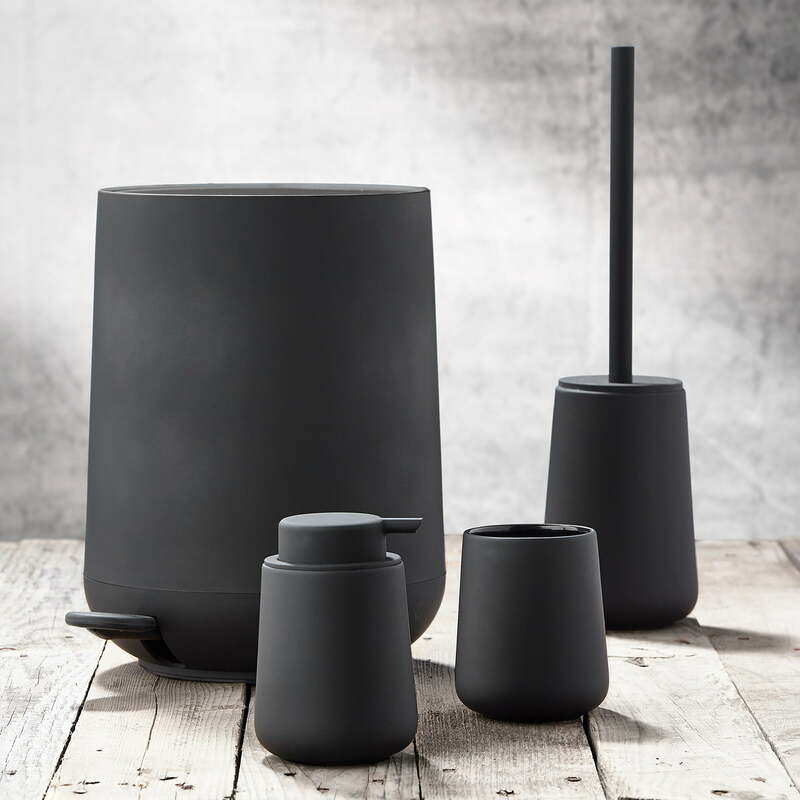 The Nova One toothbrush holder and the Nova One soap dispenser by Zone Denmark are made of stoneware and add a touch of elegance into the bathroom with their black exterior.